See the "Conference's Program pages"
As for the previous Jicable conferences, an International Technical Exhibition will be organised alongside the conference in the core of the Conference Area, from Monday June 20th to Wednesday June 22nd 2011. The opening ceremony of the exhibition is Monday 20th June at 10:30 am. 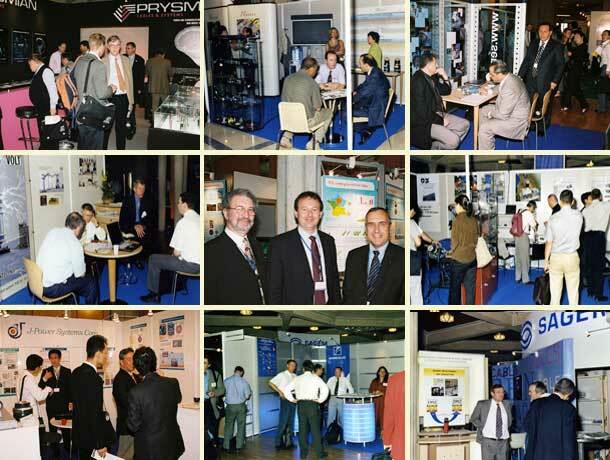 Some 30 exhibitors will show materials, design, manufacturing, tests, laying and operation of Insulated Power Cables. See the list of Jicable'11 exhibitors and the floor map of the exhibition. Access to the exhibition will be reserved for Jicable�11 delegates and holders of invitations cards which will be delivered by the exhibitors or that you can download here. Please note that this invitation cards does not permit the entrance to the Jicable�11 conferences and sessions. As visitor, the Jicable�11 exhibition will provide you with a selected venue for keeping abreast of the latest innovations in power cables and associated accessories technologies, installation and laying techniques, testing methods and operation features. Exhibition space will be located centrally and close to the conference rooms and poster areas, thus maximising the flow of visitors and exhibitors exposure. The Jicable�11 Exhibition is full and very successful this year given the large number of applications received. This is why an extension of the exhibition is proposed: the �Products Show� which will take place in the room �session D � Foyer Cond� of the Palais des Congr�s of Versailles. It consists in presenting products or services for approximately 1 hour 30 minutes.